"Star" is just that, a STAR! "Star" is a very soft pink, with bright pink contrasting feet and horn, with white, frilly fabric around the feet and maine. 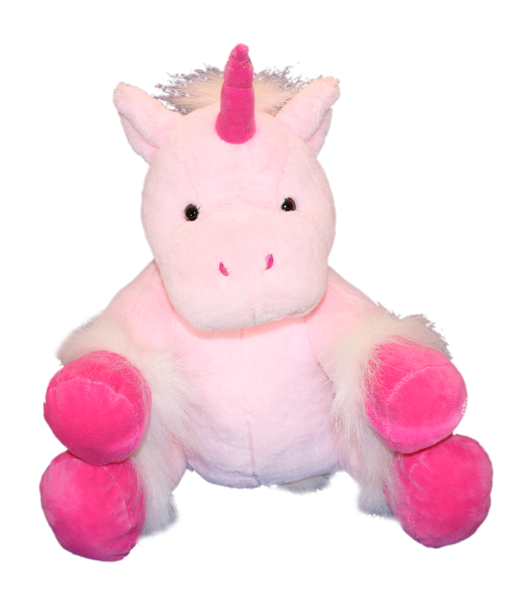 This is a super soft, cute unicorn that is a best seller! This bear has plastic eyes.